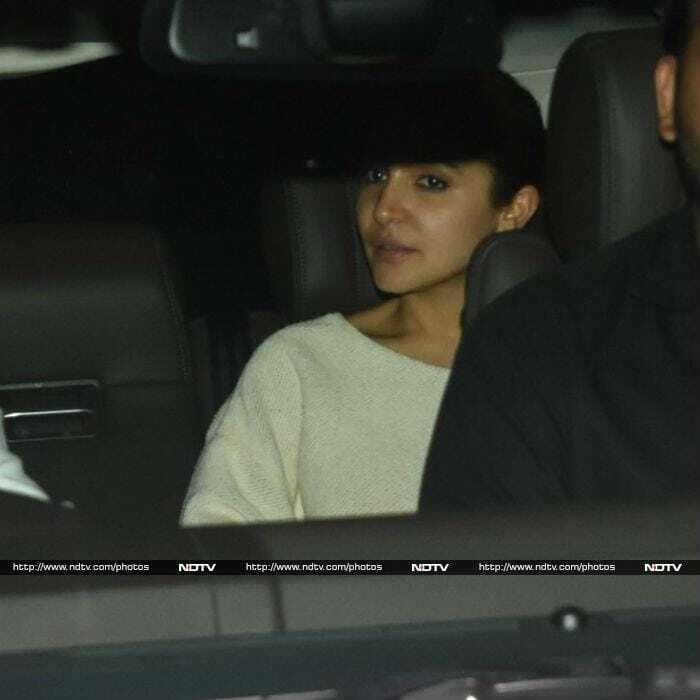 Virat Kohli and Anshuka Sharma were snapped while they were travelling in Mumbai on Sunday night. The couple featured in headlines over the weekend for a viral video of Anushka schooling a traveler for apparently littering on road. Anushka Sharma is currently filming Zero, co-starring Shah Rukh Khan. Nothing can stop team Student Of The Year 2... not even rain. Tiger Shroff was spotted on the film sets with co-stars Tara Sutaria and Ananya Panday. Ananya looked cute in an embellished mini-skirt and crop top combo. Tara Sutaria looked vibrant in pink. Tiger was busy filming while we spotted his rumoured girlfriend Disha Patani up around the town on her own. In another part of the Maximum City, we spotted Anil Kapoor outside a restaurant. We also got a glimpse of his daughter Rhea Kapoor. Meanwhile, Ranbir Kapoor and Abhishek Bachchan caught up over a football game.